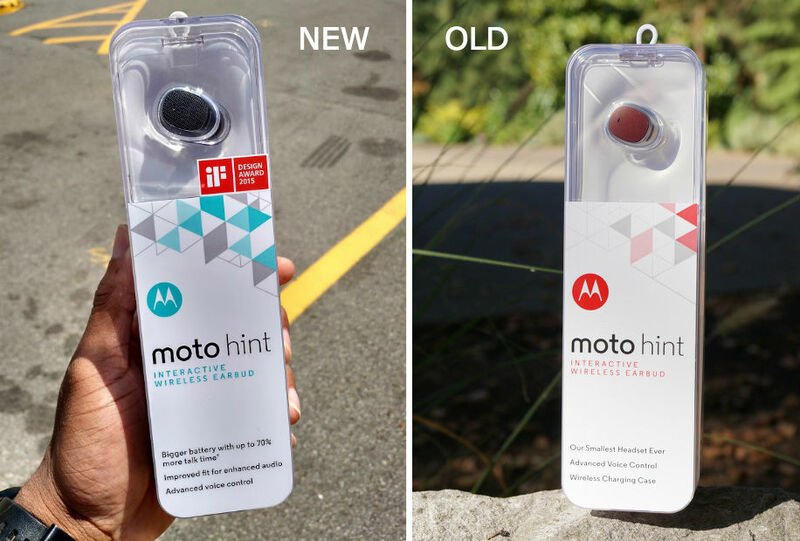 Motorola has apparently been hard at work behind the scenes, designing and quietly launching an updated Moto Hint earpiece accessory. The Moto Hint is a little earbud, originally launched last year, that syncs up to your smartphone for placing and taking calls, delivering information hands-free (directions home and phone notifications), and the ability to send text messages without lifting a finger. To get an overall sense of what Hint is, view our video tour. According to its listing on Best Buy, the Moto Hint (2nd Gen) features Bluetooth 3.0 + EDR technology, an improved design for enhanced audio, in addition to advanced voice control. Most importantly, however, is Motorola’s claim right on the box of 70% more talk-time over the 1st Gen model. As we can see in this shot of the updated retail packaging, Motorola has spruced it up a bit, highlighting new attributes of the device on the lower portion of the box. If you would like to pick up one these updated Hint earpieces, you can shop for one on Best Buy’s website right now. Unlike the previous model that held a price of $149.99, the new Hint is priced at just $129.99. 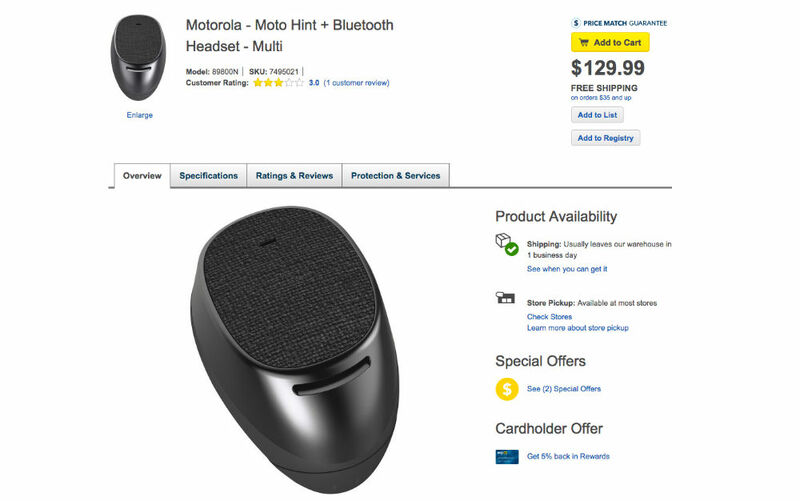 And just in case you liked the old model, you can pick one up via Motorola’s website for a discounted price of $79.99.